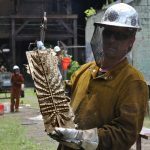 Nine regional artists conclude a summer‐long project to reimagine the Carrie Furnaces National Historic Landmark through contemporary art and critical dialogue. 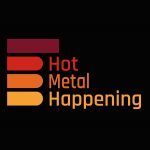 The artists will reveal their completed site‐based artworks in a public reception on August 25th, 2018 from 1-4pm. All artwork will remain on display through September 29th, 2018. 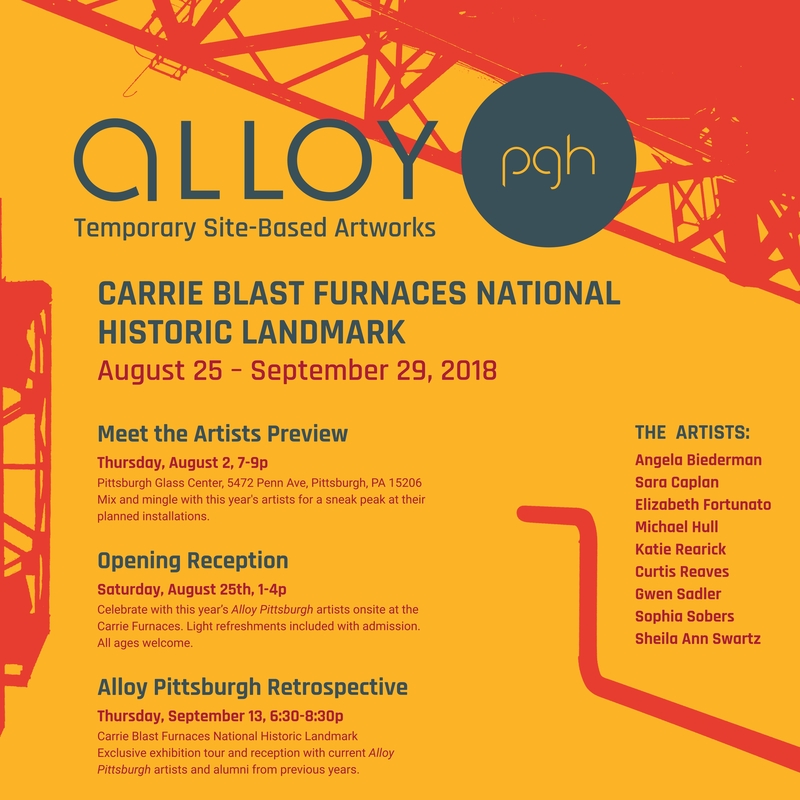 Admission is $10 in advance or $15 at the door and includes access to the Carrie Furnace grounds, nine Alloy Pittsburgh artist installations and complimentary light refreshments. Kids under 12 are free.